Trump orders the declassification of highly sensitive documents related to investigation into Russian involvement in presidential election. 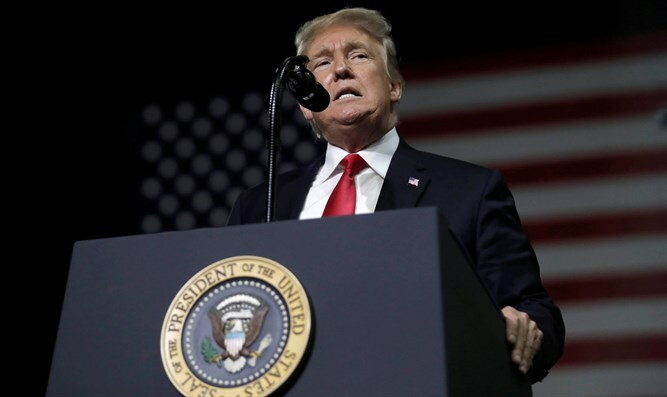 US President Donald Trump on Monday ordered the declassification of a series of highly sensitive documents related to the Russia investigation, the White House announced, according to The Hill. Under the order, classified portions of a surveillance application for former Trump campaign adviser Carter Page and "all text messages relating to the Russia investigation" from former FBI Director James Comey and several other top federal officials could become public. White House press secretary Sarah Huckabee Sanders said the decision was made "at the request of a number of committees of Congress, and for reasons of transparency." Special counsel Robert Mueller, a former FBI Director, was appointed by the Justice Department last year to oversee the federal investigation into alleged Russian interference in the 2016 election. Trump has acknowledged intelligence information indicating that Russia meddled in the 2016 presidential election, and has stressed he would hold Russian President Vladimir Putin responsible for interference. He has, however, rejected the idea that his campaign colluded with Russia in the meddling.